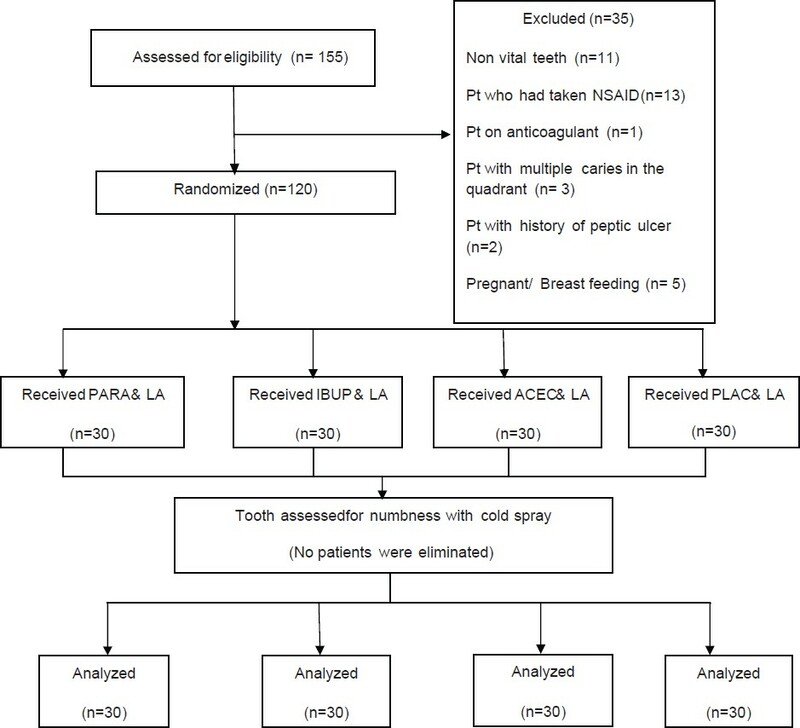 Aim: To determine the effect of preoperative administration of paracetamol (PARA), ibuprofen (IBUP), or aceclofenac (ACEC) on the success of maxillary infiltration anesthesia in patients with irreversible pulpitis in a double-blinded randomized controlled trial. 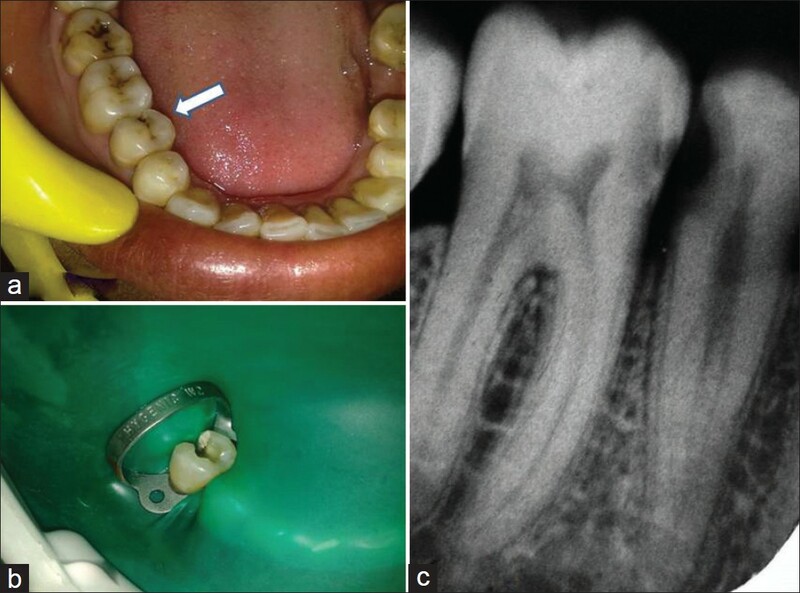 Materials and Methods: One hundred and twenty patients with irreversible pulpitis of a maxillary first molar participated. Patients indicated their pain scores on a Heft Parker visual analog scale, after which they were randomly divided into four groups (n = 30). The subjects received identical capsules containing 1000 mg PARA, 800 mg IBUP, 100 mg ACEC or cellulose powder (placebo, PLAC), 1 h before administration of maxillary infiltration anesthesia with 2% lidocaine containing 1:200,000 epinephrine. Access cavities were then prepared and success of anesthesia was defined as the absence of pain during access preparation and root canal instrumentation. The data were analyzed using chi-squared tests. Results: The success rates in descending order were 93.3% (IBUP), 90% (ACEC), 73.3% (PARA), and 26.5 % (PLAC). A significant (P < 0.001) difference was found between the drug groups and the PLAC group. Conclusions: Pre-operative administration of PARA, IBUP, and ACEC significantly improved the efficacy of maxillary infiltration anesthesia in patients with irreversible pulpitis. Background: Dentine hypersensitivity is a transient condition that often resolves with the natural sclerotic obturation of dentinal tubules. A potent topically applied in-office desensitizing treatment is indicated as the choice of treatment when dentine hypersensitivity is localized to one or two teeth. Aim: The present study aimed to evaluate and compare the clinical efficiency of CPP-ACP F, sodium fluoride, propolis, and distilled water that was used as placebo in treating dentinal hypersensitivity. 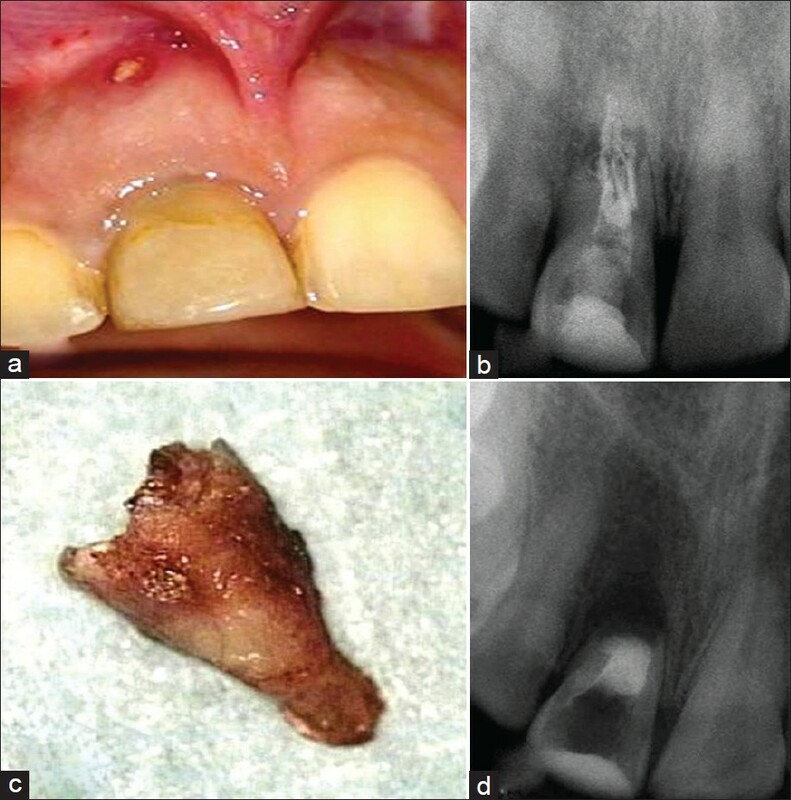 Materials and Methods: 120 patients aged 20-40 years reporting with dentinal hypersensitivity in relation to canine, premolar and molars with erosion, abrasion, and gingival recession were randomly assigned to four groups of 30 patients each. Response to air jet and tactile stimuli were measured using visual analogue scale initially on 1st, 7th, 15th, 28th, 60 th , and final assessment was done on the 90th day. Statistical Analysis: A statistical analysis was done using Anova test (Fischer's test) and Tukey HSD test for multicomparison. Results: The teeth treated with the test group showed decrease in the mean hypersensitivity values compared to control group, over a period of three months. The results showed propolis to be most efficient in treating dentinal hypersensitivity and CPP- ACPF showed to be the least efficient. Conclusion: All test groups were effective in reducing dentinal hypersensitivity, although they differed in rapidity of action over the period of 3 months. Further studies can be done using advanced materials and techniques. 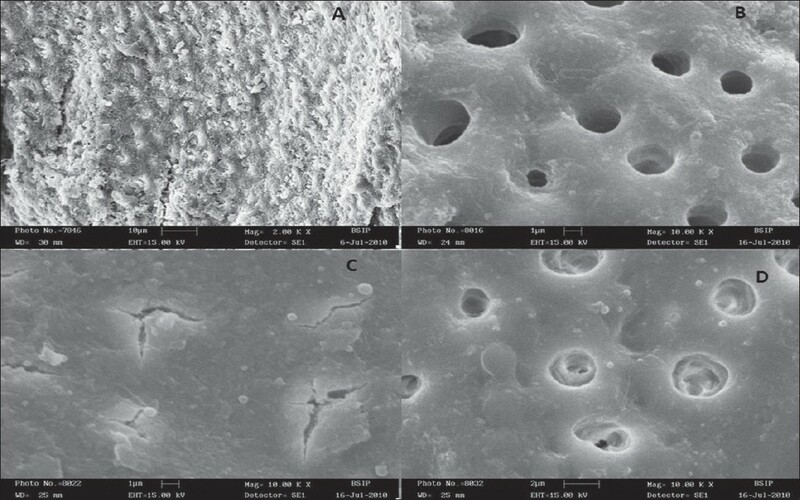 Multiple therapeutic modalities have been developed to treat dentinal hypersensitivity including products that impede nerve conduction of pain stimulus, products that mechanically occlude dentinal tubules, and calcium containing products designed to create plugs in the tubules utilizing a demineralization mechanism. Introduction: Enterococcus faecalis has long been implicated in persistent root canal infections and therapy-resistant endodontic infections. It has also been associated with bacteremia, that is, infective endocarditis arising from certain invasive dental procedures. E. faecalis endocarditis antigen (efaA) has been identified as one of the principal virulence factors associated with infective endocarditis. Aim: To detect the presence of putative E. faecalis virulence factor, efaA in root canals of therapy-resistant endodontic infections using polymerase chain reaction (PCR) amplification. 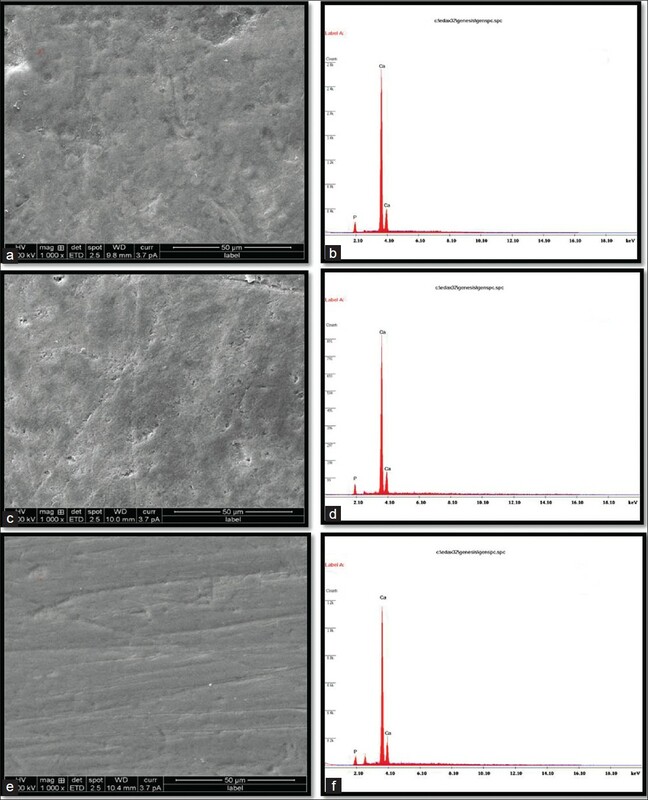 Materials and Methods: Samples were obtained from 32 patients (20-70 years) undergoing endodontic retreatment, which were incubated in prereduced thioglycollate broth and subcultured onto ethyl violet azide broth (EVA; selective medium for E. faecalis). Deoxyribonucleic acid (DNA) was extracted from the samples and analyzed for the endocarditis virulence factor efaA using PCR. Results: Among the positive E. faecalis samples, efaA gene was identified in 11 out of 15 samples. Conclusion: Our findings indicate that efaA, a potent E. faecalis virulence gene can be found in E. faecalis strains detected in root canals of therapy-resistant endodontic infections similar to reports for 'medical' strains. Aim: The aim of this in vitro study was to evaluate the flexural strength of a composite resin polymerized with three different modes of light exposure. Materials and Methods: The three different modes of light exposure were conventional, 600 mW/cm2/40s; soft start, 300 mW/cm2/10s + 600 mW/cm2/30s; pulse delay, 600 mW/cm2/1s + 60 s of waiting time + 600 mW/cm2/39s). Twenty samples were prepared for each polymerization method. Flexural strength (FS) tests were carried out with a 2 kN load at a speed of 0.5 mm/ min. All tested groups were submitted to analysis of variance (one-way-ANOVA) and Tukey's test (P < 0.05). Results: When stored in water, conventional and pulse delay groups presented higher FS values which were statistically different from the soft start group. When stored in 100% ethanol, conventional and soft start groups presented higher FS values which were statistically different from the pulse delay group. Conclusion: Different polymerization modes and immersion media can affect the physical properties (flexural strength) of composite resin. Aim: The objective of the study was to determine the neutralizing effect of proanthocyanidin (grape seed extract) and lycopene (tomato extract) on reactive oxygen species (ROS) generated by the mixture when used as an intracanal medicament. The study also evaluated the effect of proanthocyanidin and lycopene on the antibacterial efficacy of a mixture of chlorhexidine (CHX) and calcium hydroxide [Ca(OH) 2 ] against Enterococcus feacalis. Materials and Methods: Four sample groups were prepared as follows. Group I: 2% CHX gluconate (control group) and group II: a mixture of 125 mg of Ca(OH) 2 with 2% CHX gluconate solution. Group III was a mixture of 125 mg of Ca(OH) 2 with 1 mL of 2% CHX gluconate solution and 1 mL of 5% proanthocyanidin solution and group IV, a mixture of 125 mg of Ca(OH) 2 with 1 mL of 2% CHX gluconate solution and 1 mL of 5% lycopene solution. 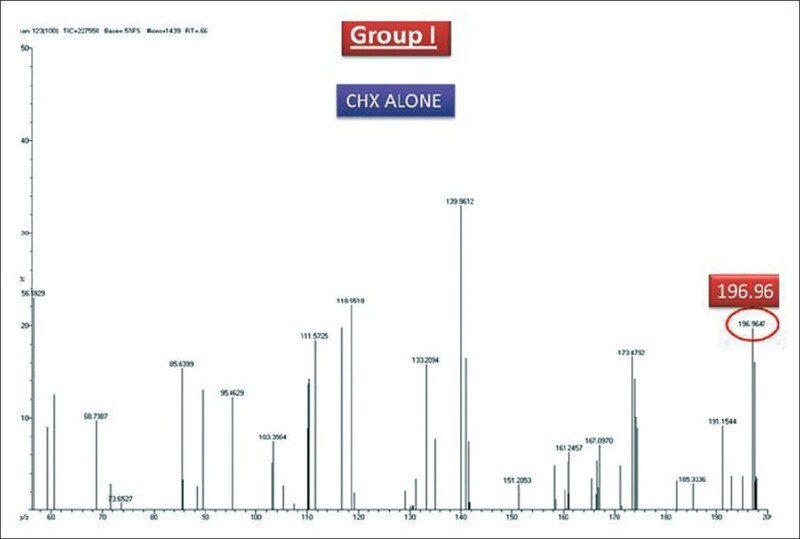 The groups were analyzed for ROS formation using the mass spectrometer (JEOL GC MATE II) immediately after preparation. 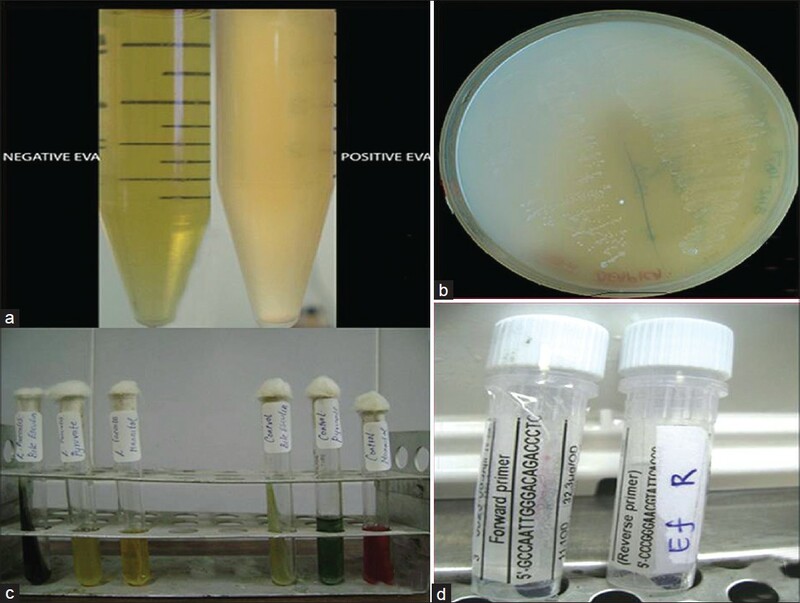 The antibacterial property was evaluated by using agar diffusion method and the results were statistically analyzed using one-way analysis of variance (ANOVA) and Tukey-Kramer multiple comparison tests. Results: The peak value of 196.96 denotes ROS formation. Group II shows a higher peak value than other groups. Group IV shows a drastic reduction in the peak value. Group IV shows a drastic reduction in ROS formation when compared with group II, group III, and the control group. Antibacterial efficacy was higher in group IV, followed by group III, group II, and group I. Conclusion: Lycopene and proanthocyanidin reduce the ROS significantly by virtue of their antioxidant property. Lycopene shows more antioxidant property when compared with proanthocyanidin. Background: The aim of this study is to verify the variations of the temperature inside the root canal with three different gutta-percha heating systems. 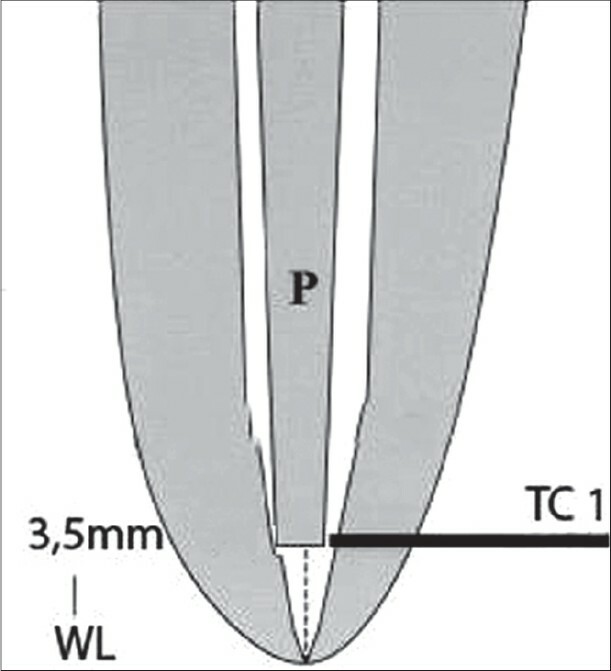 Materials and Methods: A split-tooth model was built with a lateral groove at 3.5-mm from working length (WL) in order to insert a Chromel-Alumel K-type thermocouple placed in contact with gutta-percha. The thermocouple was connected to a digital thermometer. Sixty obturations were made with medium gutta-percha points. For 20 specimens the System B was used with the Buchanan fine plugger and the temperature was set at 200°C; for other 20 specimens the Endo-Twinn with a fine plugger was used and for the last 20 specimens we used the E-Fill with a 40.04 plugger. All pluggers were pushed to 3.5 mm from WL so that the tips were in contact to the probe. Results: The analysis of 60 samples showed the highest temperature average using the System B after 10 seconds (86.85°C), after 15 seconds (94.9°C), after 20 seconds (100.4°C) and after 25 seconds (104.5°C). The Endo-Twinn average values are similar to System-B ones. The E-Fill average values are lower (69.9°C) than the other two systems evaluated only after 10 seconds due to limited working time. The temperatures average obtained using different systems of warm vertical compaction are lower than what was declared by the producing companies. Conclusion: Time is one the most important parameters to consider using these systems. Temperatures reached from the System B and Endo-Twinn after 25 seconds; however, seem to be sufficient to ensure an optimal adaptation of the gutta-percha in the anatomical complexity of root canals. The temperatures obtained from the E-Fill, only after 10 seconds, instead seems to be insufficient to assure the rheological characteristics of gutta-percha. Aim: To compare pH changes at the cervical, middle and apical surfaces of root dentin in retreated and non- retreated teeth, after canal obturation with two different calcium hydroxide pastes. Materials and Methods: After instrumentation of 55 extracted teeth, three cavities with 0.75 mm depth and 1.5 mm in diameter were drilled at buccal root surface. The teeth were randomly divided into five groups. Canals in the first two groups were filled with either mixture of calcium hydroxide and saline solution and calcium hydroxide and 2% chlorhexidine (CHX). In the third and fourth groups canals were first obturated with gutta-percha and AH26 sealer, and then materials were removed. After 2 days canals were filled with two different calcium hydroxide pastes similar to the first and the second groups. The pH was measured in the prepared cavities at 1, 3, 7 and 14 days. Results: In the non-retreated groups, pH at the surface of the roots was significantly higher in comparison to the retreated ones (P value < 0.001). pH values were significantly higher in the non-retreated teeth filling with calcium hydroxide and saline solution (P value < 0.001). 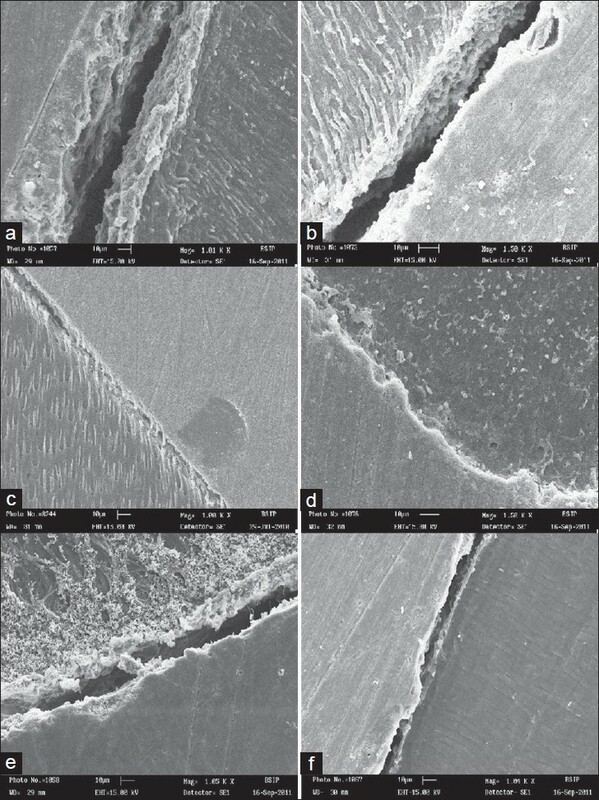 Conclusion: Regarding to the little pH changes at the surface of dentin in retreated teeth, the hydroxyl ions cannot penetrate into the dentinal tubules. Thus, to achieve higher pH at the root surface in retreated teeth, it is clinically advisable to remove more dentin from the inner walls and to use normal saline as a vehicle for calcium hydroxide rather than acidic pH materials. Aim: This study aimed at quantitatively evaluating the effect of colabased beverage on the calcium loss of enamel surface pre-treated with fluorideenriched casein phosphopeptideamorphous calcium phosphate (CPP-ACPF) and βeta-ricalcium phosphate (β-TCP) using energy dispersive X-ray analysis (EDX). Materials and Methods: 24 enamel specimens were prepared from the buccal and palatal surfaces of extracted intact human premolars and were randomly assigned to study groups and control group. 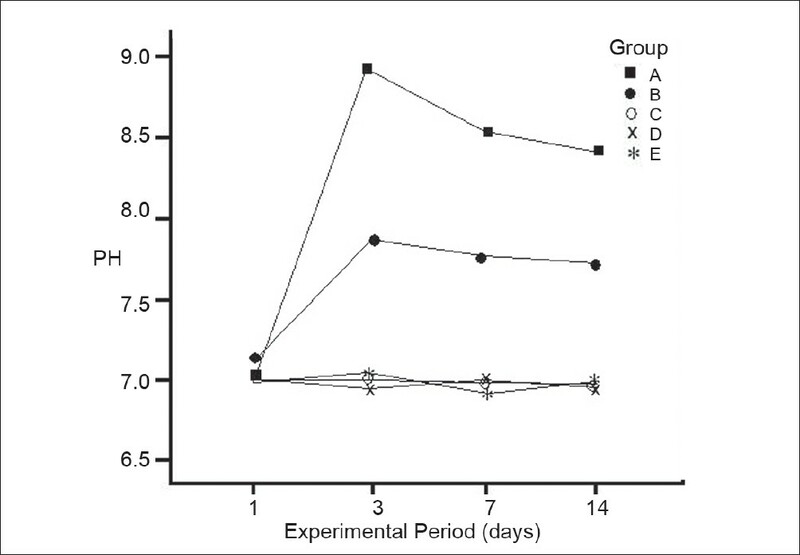 Specimens of Group II were pre-treated with CPP-ACPF and Group III treated with β-TCP twice daily for 4 for 28 days, followed by storage in artificial saliva. All specimens were evaluated for mineral (calcium and phosphorus) content (wt%) after pre-treatment using SEM-EDAX. The specimens were then placed in the acidic beverages for 4 days for 10 Mineral content was again measured using SEM-EDAX. Results: Statistical analysis using one-way ANOVA followed by Tukey's HSD test was applied to compare the re-mineralization and de-mineralization of the samples. Conclusion: The present study concluded that both the remineralizing agents tested were found to be effective in inhibiting the de-mineralization caused by colabased beverage. Among the remineralizing agents tested, β-TCP was found to be more effective than CPP-ACPF. Aim: To analyze and compare the changes in the ultramorphology of dentin in primary teeth using different bonding agents and to study the resin/dentin interface produced by them. 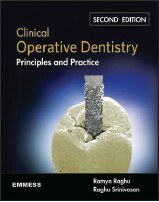 Materials and Methods: Occlusal surfaces of 50 extracted human deciduous teeth were grounded to expose the dentin. The teeth were divided into two groups (A) For viewing surface morphology- 18 teeth divided into four groups: (a) for viewing dentinal morphology (3 teeth), (b) Scotchbond multi-purpose (5 teeth), (c) Adhe SE (5 teeth), (d) Futurabond (5 teeth). 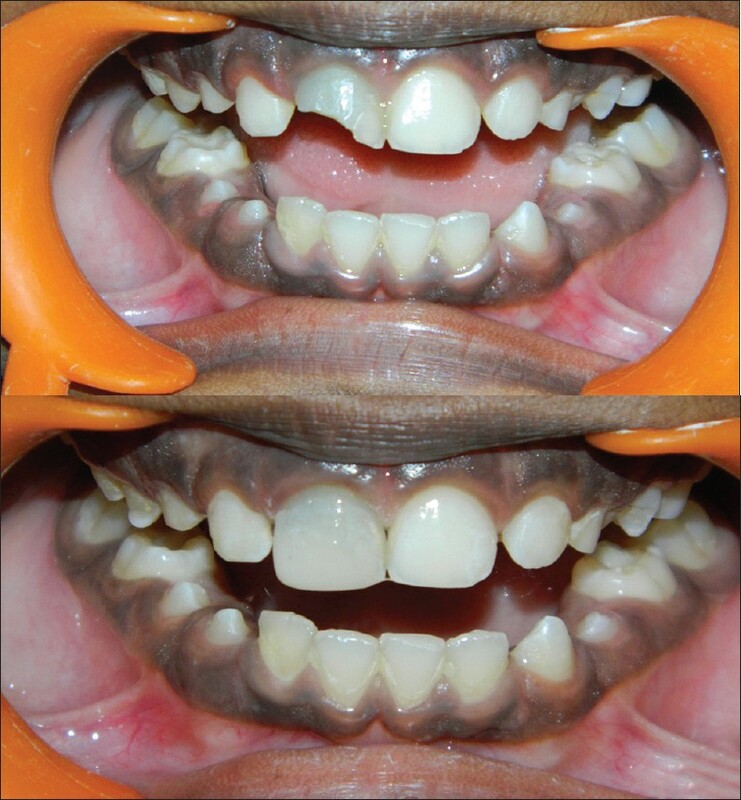 (B) For viewing interfacial morphology- 32 teeth divided into four groups with 8 teeth each: (a) Scotch Bond Multipurpose (3M, ESPE),), (b) Adhe Se (Vivadent), (c) Optibond All-in-One (Kerr), (d) Futurabond NR (VOCO, Cuxhaven, Germany). The adhesives were applied to each group following the manufacturer's instruction. All the samples were then prepared for viewing under SEM. Results: The photographs were graded using a four-step (0-3) scale method proposed by Ferrari et al. For Scotchbond, 12 (75%) were graded as 2 Grade 3 was observed in only 1 observation in the entire lot of materials. The results obtained for Adhe SE and Optibond AIO were similar, i.e. in 5 (31.25%) observations each the scores were 0 and in 11 (68.75%) observations each the scores were 1. In case of Futurabond, 3 (18.75%) observations were graded as 0 and 13 (81.25%) were graded as 1, thus showing a mean score of 0.81±0.40. Conclusion: Three- step bonding agent results in the complete removal of smear layer. While the self- etch approach is not efficient in removing the smear layer and opening of the dentinal tubules. 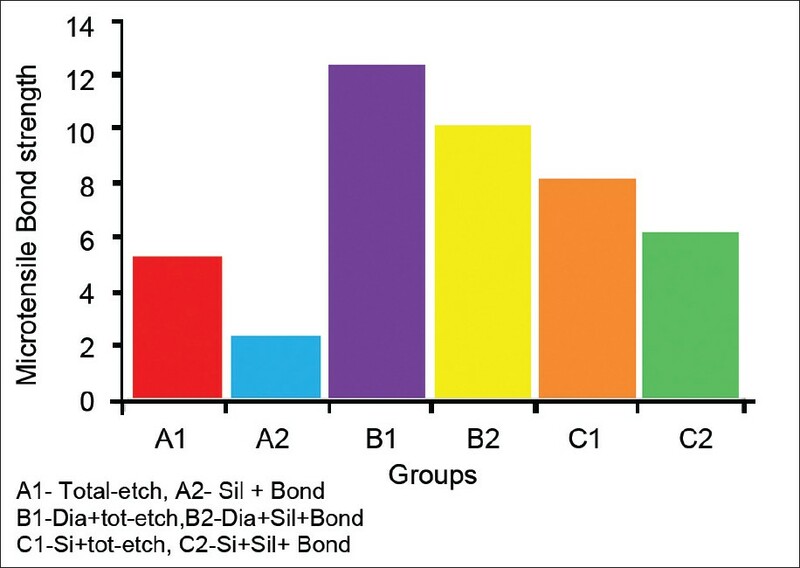 The longest resin tags with lateral branches were seen in two groups- Scotch bond multipurpose and Optibond FL. Aim: The aim of this study was to evaluate the fracture resistance of endodontically treated maxillary premolars with wide mesio-occluso-distal (MOD) cavities restored with either composite resin, or composite resin reinforced with different types of fibres. 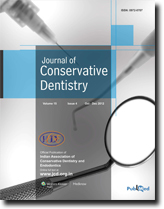 Materials and Methods: Fifty human maxillary premolars were selected. Five intact teeth served as positive controls. 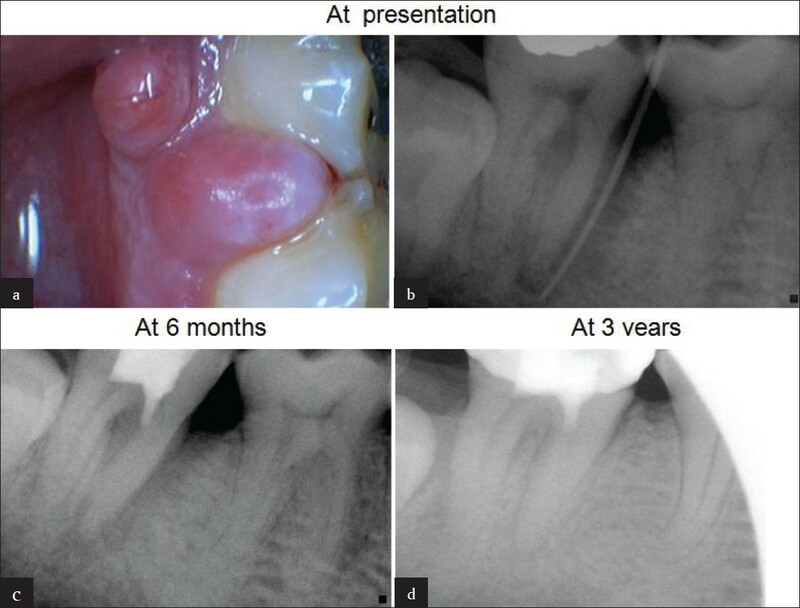 Endodontic therapy was carried out in the remaining forty-five teeth. Standardized MOD cavities were prepared in all the teeth. The teeth were restored with a nanocomposite using an incremental technique. These forty five teeth were randomly divided into three experimental groups (Group A, B and C) (n = 15). The teeth in Group A did not undergo any further procedures. The teeth in Group B and C were reinforced with composite impregnated glass fibre and polyethylene fibre, respectively. Fracture resistance was measured in Newtons (N). Results: The positive controls showed the highest mean fracture resistance (811.90 N), followed by Group B (600.49N), Group A (516.96N) and Group C (514.64N), respectively. One Way analysis of variance (ANOVA) test revealed a statistically significant difference between all the groups (P = 0.001). Post-hoc Tukey test revealed a moderately significant difference (P = 0.034) between Control and Group B, and a strongly significant difference between Control and Group A (P = 0.002), and Control and Group C (P = 0.001). Conclusions: Endodontic therapy and MOD cavity preparation significantly reduced the fracture resistance of endodontically treated maxillary premolars (P = 0.001). No statistically significant difference was found between the experimental groups (Group A, B and C) (P > 0.1). However, the fracture resistance of the composite impregnated glass fibre reinforced group was much higher than the others. Aim: To evaluate the effect of different root canal irrigants on the sealing ability of two self-etch adhesives, using dye penetration method, within the pulp chamber. Materials and Methods: 72 extracted human molars were divided into six groups, according to the irrigant and self-etch adhesives used. After de-roofing the pulp chamber with a carborundum disc, the pulp was extirpated using excavator and broaches. In 36 samples, pulp chambers were bonded with Xeno V after irrigation with either 2% CHX (Group1: Xe-CHX) ; 17% EDTA + 5.25% NaOCl (Group2: Xe- EDTA + NaOCl) or normal saline (Group3: Xe-NS) and in other half samples, pulp chambers were bonded with Adper Easy One after irrigation with either 2% CHX (Group 4: Ad-CHX); 17%EDTA + 5.25% NaOCl (Group5: Ad-EDTA+NaOCl) or normal saline (Group 6: Ad-NS). All the samples were restored with Filtek Z350. Ten teeth from each group were assessed for dye penetration. 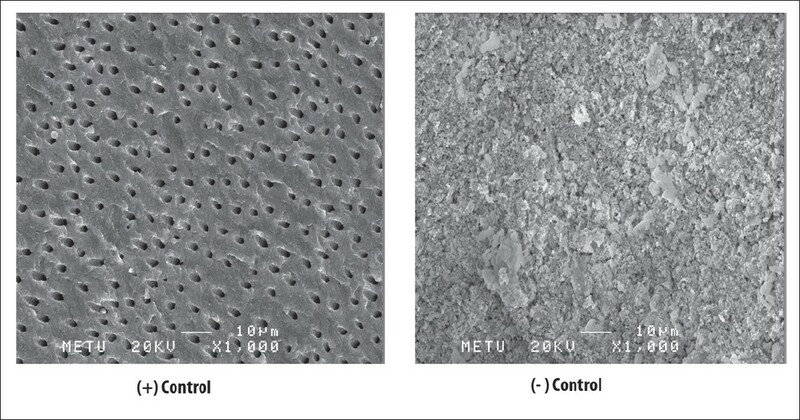 Two samples in each group were viewed under scanning electron microscope to observe resin-dentin interfacial adaptation. 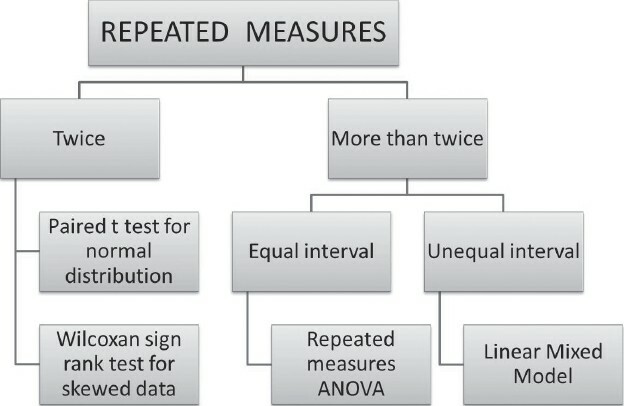 Data was statistically analyzed using Mann-Whitney and Kruskal Wallis tests at a significance level of P < 0.05. Results: Mean microleakage scores and standard deviation observed were: Group 1 (Xe-CHX): 2.8 ± 0.42, Group 2 (Xe-EDTA + NaOCl): 2.3 ± 0.82, Group 3 (Xe-NS): 2.9 ± 0.31, Group 4 (Ad-CHX): 1.2 ± 0.91, Group 5 (Ad-EDTA + NaOCl): 0.8 ± 0.63, Group 6 (Ad-NS): 1.9 ± 0.99. Conclusions: Adper Easy One showed significantly less leakage than Xeno V when normal saline was used as an irrigant. EDTA treatment followed by NaOCl application significantly reduced microleakage and improved the interfacial adaptation with Adper Easy One. CHX did not significantly affect the sealing ability of both one-step self-etch adhesives tested.